My name is Heather Szasz and I have 10 years of Professional Dog Training Experience, as well as experience as a life coach for a world wide company. 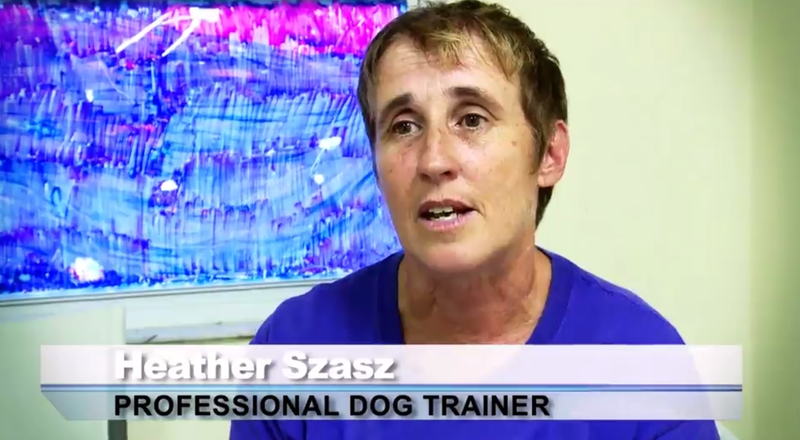 Both of these professions combined together allow me to be very successful with working with Dog Owners and the behavior issues with their dogs. I started my career as a dog trainer in England, 30 years ago, when I was the owner of my first puppy: an airedale terrier named Sharka. I trained with Geoff Grinham, the author of the book Dog Training and Behavior. You will find many pictures of Sharka and myself in Geoff Grinham's book. However, please remember that was 30 years ago, so I do look different today! Life took a left turn as I ended up in Florida for 22 years. I had not been certified as a dog trainer in England, so I chose to begin a residential house cleaning business. After a few years, I sold the my cleaning business and said to myself, "What do I really want to do? I really want to be a certified Professional Dog Trainer!". So, I went to the Animal Behavior College and graduated! For the last 10 years, I have worked with many one-on-one clients, I have taught agility classes for fun, and mentored students from the Animal Behavior College. I have worked with rescues, volunteered for 9 years, and spent the last 2 of those years as a trainer in a prisoner/shelter dog program. We, in total, have trained and adopted 75 dogs! My focus now is on coaching owners in how to influence your dog in a positive way. Through transforming our anxiety and negativity which our dogs are living with on a daily basis. Remember Happy Owner/Happy Dog. Please check The Balance Procedure Page for more information. Below are a few of the certifications I have achieved. You can click on any of the badges to view their websites & learn more! Pictured top: Heather with her adopted dogs! 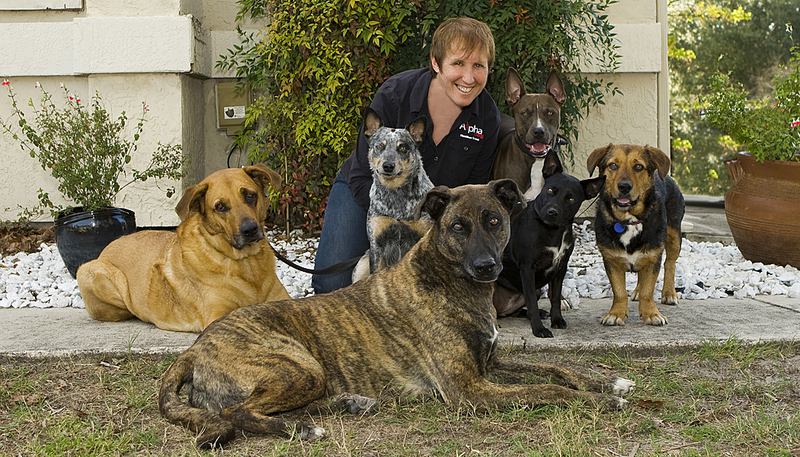 ​Pictured below: A few of Heather's beloved dogs! Click the button below to view Heather's spotlight from Woman Life Connected (WLC)! 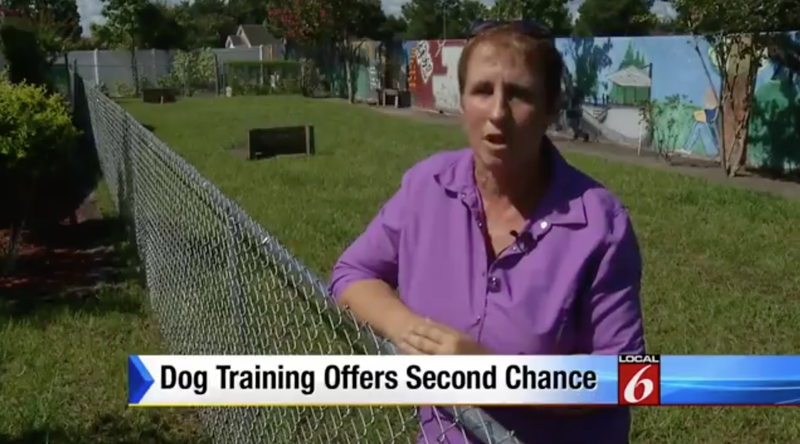 ﻿Click here, here and here to watch & read more about Heather's participation in the prisoner/shelter dog program from News6 Orlando, New Dog World & the Orlando Sentinel. The photos below are a preview of the program & news reports! Click here to listen to an interview regarding the prisoner program. ​Click the button below to listen to a radio broadcast from Heather on Blog Talk Radio titled: House Cleaning to Dog Whisperer. Heather discusses where she came from & where she is today- focusing on her transformational work in positive energy!